An inhaled form of a high blood pressure medication has potential to treat certain types of anxiety as well as pain, according to a new study by the Centre for Addiction and Mental Health. The combination of two commonly used diuretics, each at half dose, can significantly reduce blood pressure without the side-effects caused by full doses of either alone, researchers from the PATHWAY 3 study have found. Merck today announced that the New Drug Application (NDA) for the Company's investigational extended-release formulation of JANUMET for type 2 diabetes has been accepted for standard review by the U.S. Food and Drug Administration (FDA). The Company is also moving forward as planned with regulatory filings in countries outside the United States. New data were presented at the American Diabetes Association 70th Annual Scientific Sessions from a study comparing JANUMET (sitagliptin/metformin) to pioglitazone. In this study, JANUMET resulted in significantly greater blood sugar reductions in patients with type 2 diabetes compared with pioglitazone. Hemodynamic Therapeutics, Inc. (HTI), a portfolio company of Cato BioVentures, announces the successful completion of its initial Phase 2 clinical study of its lead compound ("HTI-101"), a patented low-dose small-molecule investigational therapy intended for patients with treatment-resistant hypertension. Merck has thoroughly reviewed the safety data for sitagliptin, and sitagliptin was not associated with an increase in the incidence of pancreatitis in preclinical studies or in clinical trials of up to two years in duration with more than 6,000 patients. Merck & Co., Inc., which operates in many countries as Merck Sharp & Dohme (MSD), has received a positive opinion from the European Medicines Agency’s (EMEA) Committee for Medicinal Products for Human Use (CHMP) for JANUVIA® tablets and JANUMET® tablets recommending their use as add-on to insulin for the treatment of type 2 diabetes. A drug currently used to treat high blood pressure and heart failure has been found to reduce the symptoms of multiple sclerosis in mice. New research is suggesting that some of the drugs commonly used to treat hypertension (high blood pressure) may offer another benefit. Two teams of scientists working half a world apart, have identified what they believe is a simple, effective and inexpensive treatment to reduce lung problems associated with cystic fibrosis. 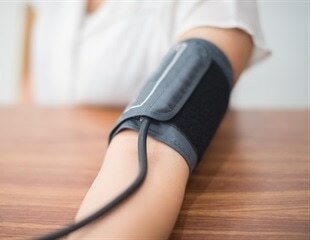 Two inexpensive but widely overlooked drugs may help many patients who continue to have high blood pressure despite taking standard blood pressure medications, according to research by Indiana University School of Medicine scientists. Researchers have uncovered a new culprit behind the brain injury suffered by stroke victims. Their new study, published in the Sept. 17 issue of Cell, links brain cell damage to a rise in brain acidity following the oxygen depletion, or ischemia, characteristic of stroke.